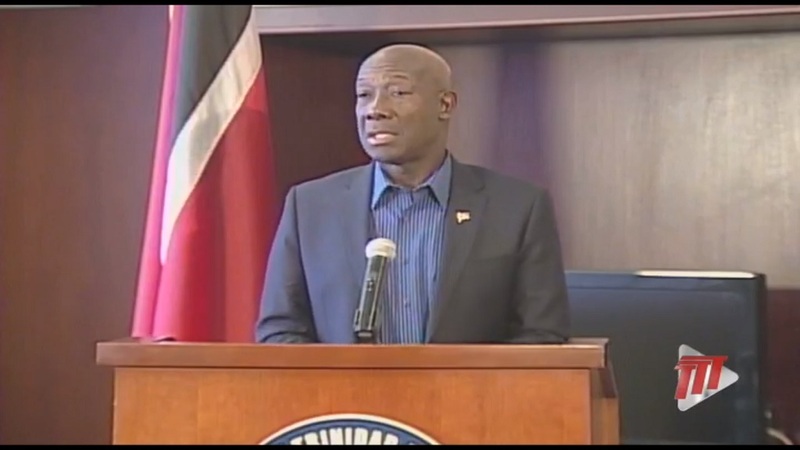 Prime Minister Dr Keith Rowley said Trinidad and Tobago’s stance of non-intervention in the stand-off between Venezuelan president Nicolas Maduro and presidential rival Juan Guaidó who is supported by the US, is due to a difference of opinion. Dr Rowley was speaking to media following his return from meetings between CARICOM and the UN earlier this week. Dr Rowley formed part of the CARICOM delegation, led by Dr Timothy Harris, CARICOM Chairman and Prime Minister of St Kitts and Nevis as well as Irwin LaRocque, CARICOM’s Secretary-General and Pennelope Beckles, Ambassador for Trinidad and Tobago to the United Nations. Dr Rowley met with President of the United Nations María Fernanda Espinosa Garcés on Tuesday at the UN’s Headquarters in New York as well as Ambassador Jonathan Cohen, US Representative to the UN. "It's a problem we're all trying to work through. What we have is a difference of opinion." "We maintain, without apology that Trinidad and Tobago is entitled to have a difference of opinion with any country on any matter in the interest of the people of Trinidad and Tobago." Dr Rowley added that he did not see other CARICOM countries being slammed for a stance of non-interference. Dr Rowley said the issue of Guaidó’s ‘parallel government’ remains a matter of principle. “We, more than others, have to stand on principle, it is the principle that will defend us because we cannot physically enforce our positions or defend ourselves. That is why we are so wedded to the UN principle of non-interference,” he said. Dr Rowley said Guterres noted that the illegitimacy of Maduro’s presidency was not before the UN for adjudication. “Interestingly enough the Secretary-General pointed out to us, the CARICOM delegation that…the role of the Security Council is not about authenticating elections in any country….that is not a matter that, as far as he is aware, that the Security Council is having before it for adjudication,” he said. Dr Rowley said local media was also misrepresenting government by saying that government’s stance of non-interference signalled support for Maduro. 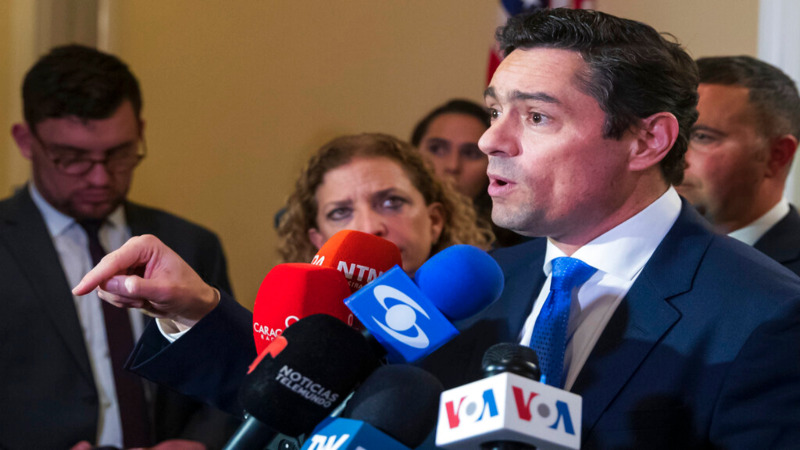 “Non-interference means we are not joining any action for interference in Venezuela….we are not backing any horse in the Venezuelan political race." "We were not a player in the recent development...Mr Guaido appeared virtually from nowhere. 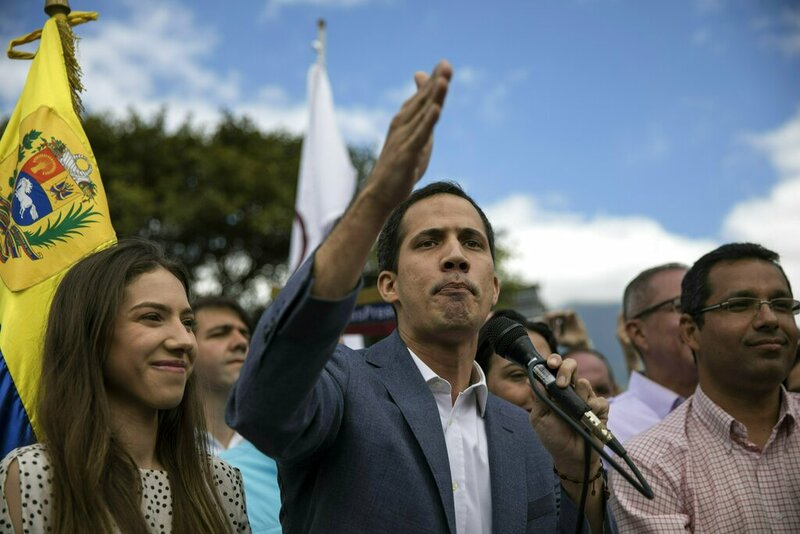 However since he is an alternative president and...(considered) an alternative government, our call for all...to talk it out...applies to Mr Guaido as well...it is a Venezuelan problem," he said. Dr Rowley said the ‘drums of war’ did not take into account CARICOM’s concerns. “CARICOM then understood that these drums of war that were rattling from Venezuela to Washington were being pounded by persons who had either not taken us into account or disregarded our interests and the consequences of such actions on the CARICOM,” he said. Dr Rowley said escalating tensions and the risk of war would have a disastrous effect on the Caribbean. “Tourists don’t really leave home to go to war zones on vacation. The brittle nature of CARICOM territories as such is that any conflict that is part of this region could have long-term consequences for this region,” he said. He said the talks were a signal that progress was being achieved. "We've had a little more insight in the last two days....but that could change. We must remain in a position to talk the problems out for as long as it takes. Meaningful dialogue is CARICOM's position...there needs to be negotiations towards a position that could last," he said. Prime Minister Dr Keith Rowley said the US sanction placed on Venezuelan oil company PDVSA would mean the strangulation of the country’s oil industry. “The Venezuelan economy is driven by the oil economy so any attempt to deny the government in office access to the earnings by the oil economy is a strangulation which would have some kind of effect. He added that although Trinidad and Tobago is not involved, the fallout could have detrimental effects on the country. “We have no part of that except that we hope it doesn’t do that because we…would feel the fallout of that in some form or fashion,” he said. Dr Rowley added that he was told by the Russian government, also a member of the UN Security Council, that there are no Russian assets in Venezuela. “A lot of unease our people were responding to was the question of Russian bombers in Venezuela. We were informed by the Russians that they have no assets or personnel in Venezuela toward the furtherance of any military action,” he said. 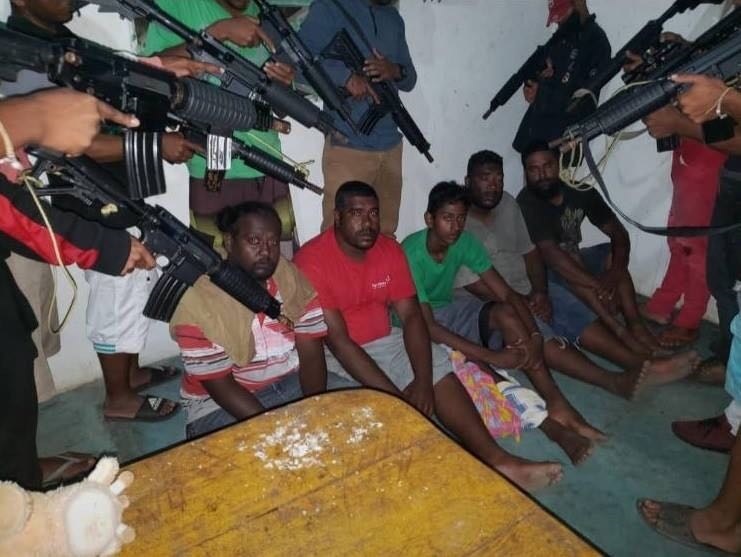 However Dr Rowley said the country is not strong enough in terms of military forces to prevent military vessels from entering its waters or airspace. “We (CARICOM) have a position on that but we can’t enforce it. We are not sufficiently military strong to enforce that. Even between Trinidad and Tobago we have ocean-going vessels of all kinds. We don’t know if submarines pass through there, we don’t know who’s off our coast right now, (or) with what,” he said. Dr Rowley added that the country's military remains ready to protect the people of Trinidad and Tobago. Dr Rowley said many member states did not know how close Trinidad and Tobago was to Venezuela and how much it had been affected and agreed not to escalate tensions to disturb the situation. Dr Rowley said CARICOM suggested that the UN Secretary-General use his office as a vehicle to provide guidance for Venezuela to ‘thrash out’ the issue. However he said Guterres replied that this could only happen with Venezuela’s willingness to do so. He added that government would be addressing the issue of regularising refugees and asylum seekers with the provision of identification cards to assist in protections. "I said that we have agreed to do a registration exercise which would allow us to give Venezuelans over here some sort of identification which would allow us to know who they are, know their comings and goings and of course to protect them from exploitation. We (also) talked about the question of allowing them to work and to go to school." "The Minister of Security is actively engaged in bringing that position to the Cabinet," he said.